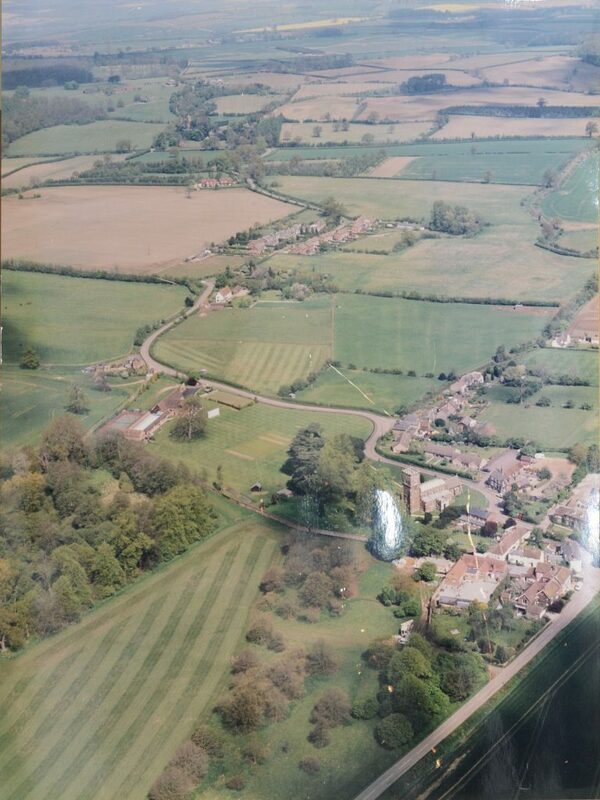 Anna Blomfield kindly gave permission to reproduce this aerial photo looking down Tyrells End. It was probably taken about 1999 or 2000. Click for a bigger version.